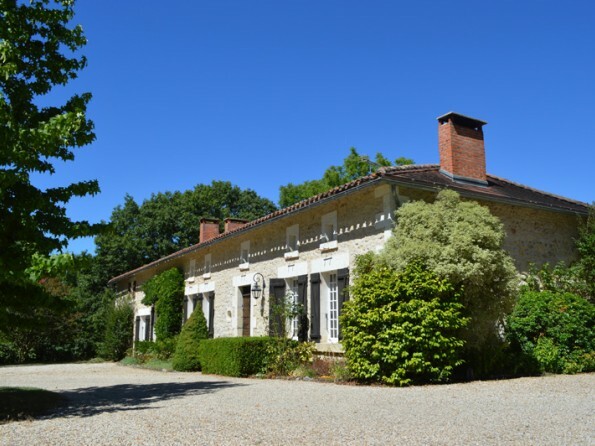 A characterful and stylish seven bedroom country house on the edge of the hilltop village of Brossac in France’s Charente region. 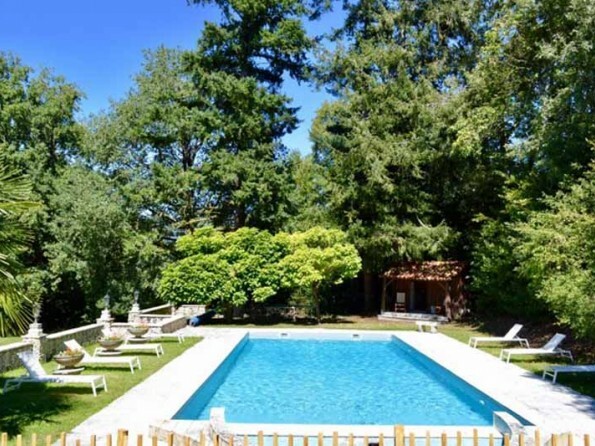 With beautiful, large grounds, a private swimming pool, and lots of places to visit nearby, this is a wonderful location for a holiday with family or friends. 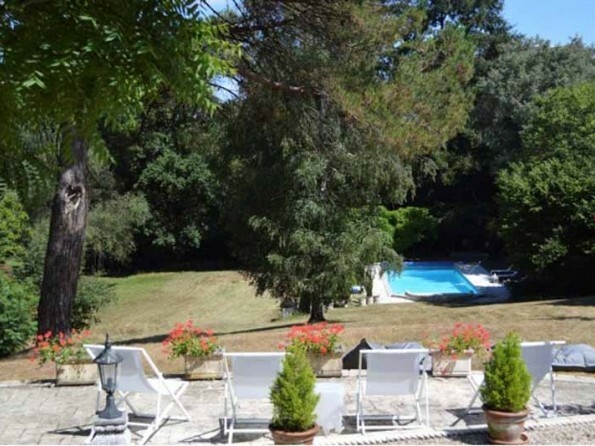 Le Grand Pezet is set in substantial grounds - four acres, of lawns, and six acres of woodland forest. 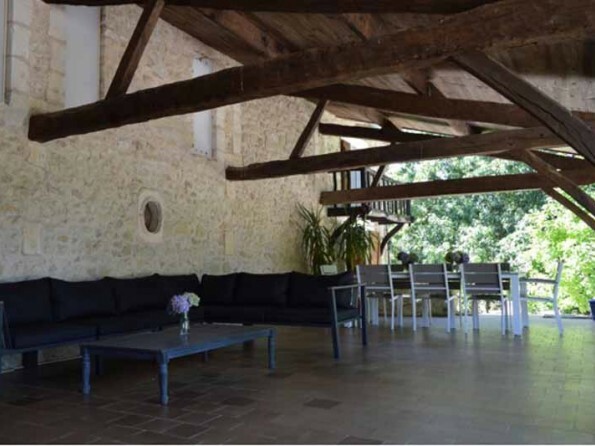 The main stone house is an old farm building which incorporates a converted barn, once restored by the ‘Medecin de Village’ and his wife. 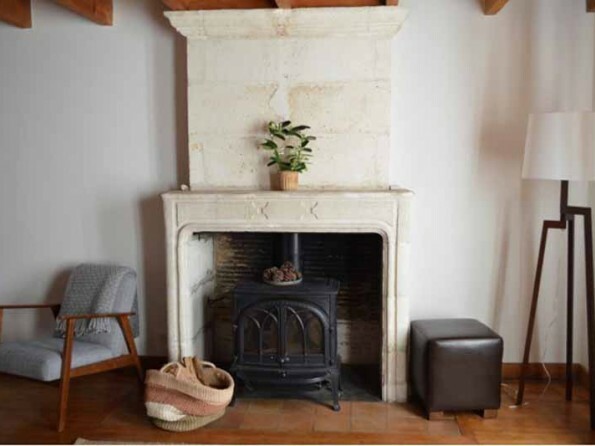 It’s a stylishly furnished typical Maison Charentaise, oozing historic character. The village of Brossac has a butcher, bakery, pharmacy, post office, bank and restaurant, and is a 25-30 minute walk from the house. 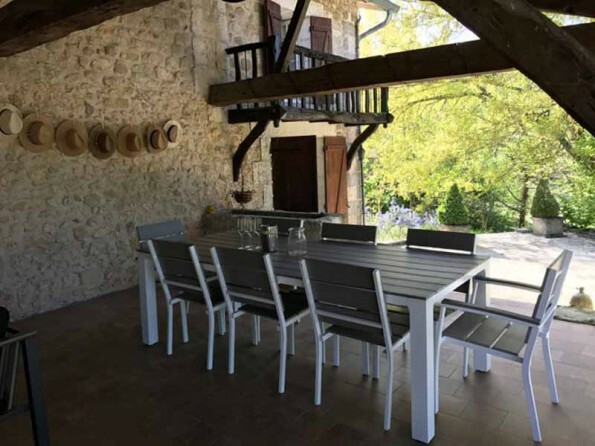 The area is surrounded by rolling fields of sunflowers, pine forests and vineyards, and the Charente region is widely recognised as having one of the sunniest climates in Western Europe. There is a `Chef at Home’ service which is available for some evening meals if booked in advance, offering you a choice of Italian, Greek and Indian dishes. A wonderful treat if you're celebrating a birthday, anniversary, or just want to luxuriate in holidaying! 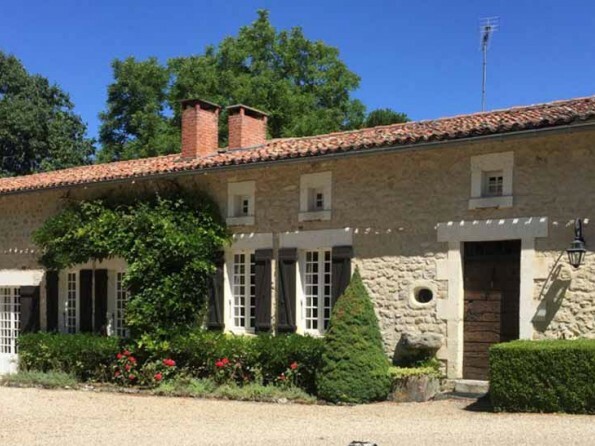 Brossac is one hour from the city of Bordeaux and 1.5 hours from the Atlantic Coast beaches. The market town of Chalais is just a 10 minute drive and has a thriving weekly market. 20 minutes drive gets you to the idyllic village of Aubeterre-Sur-Dronne which has been recognised as one of France’s most beautiful villages. 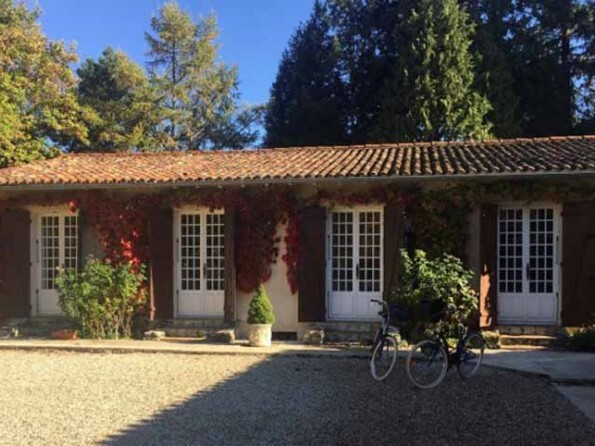 The famous city of Cognac is a 50 minute drive, where you can go on tours of the famous Cognac houses. Also, many of the local ‘domains’ offer Pineau tours and tasting - a fortified wine which is known as the regional aperitif. There are hiking and biking trails, you can go kayaking on the river Charente, or go horse riding. The house is 2km from the Etang Vallier Lakeside Resort with its lake beach, watersports, mini golf and fishing. Fly to Bordeaux (1 hour from the house) / Bergerac (1 hour 20 mins from the house) / Limoges or La Rochelle (1 hour 45 mins from the house). If you want to take the train, you can get the Eurostar and then the TGV to Poitiers or Angouleme. If coming from the UK by ferry, you are 5-8 hour drive from the main ferry ports. 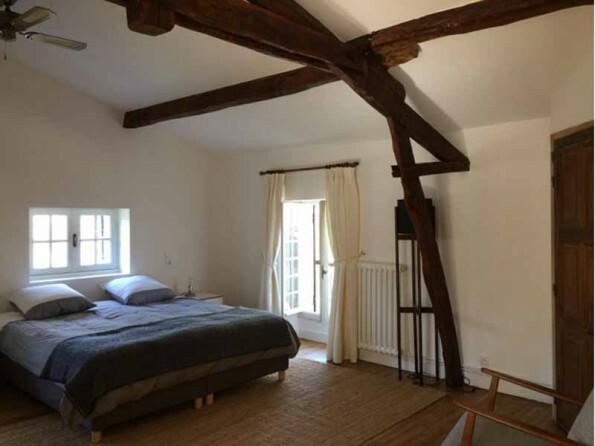 The main house has three double bedrooms, each ensuite, and two twin rooms in the attic. The three doubles all have super king beds, one has a private balcony, and one with french doors to the terrace. 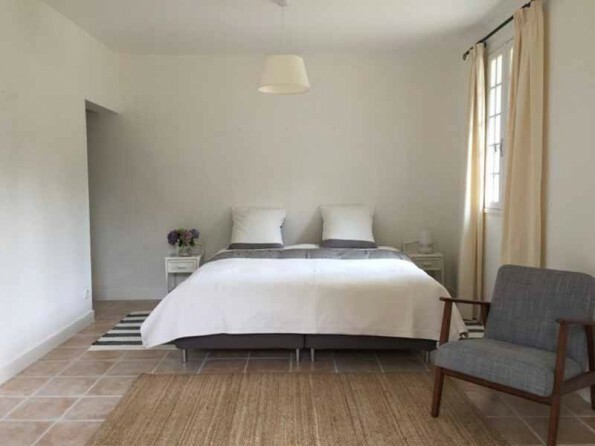 There is a more modern annexe which has two double bedrooms, also both ensuite and both with french doors opening onto the courtyard. 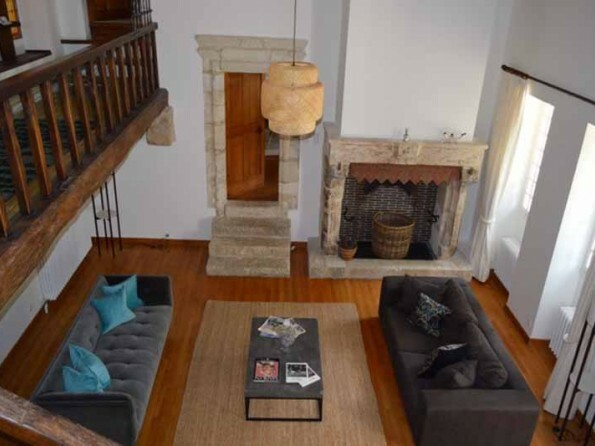 The sitting room has high ceilings, oak beams, TV & DVD corner, and French doors opening onto the garden. 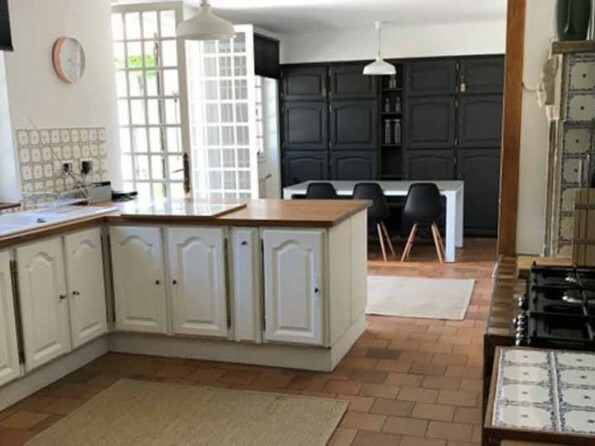 There is a large open plan, terracotta floored kitchen diner which is well equipped and has french doors opening onto the garden. 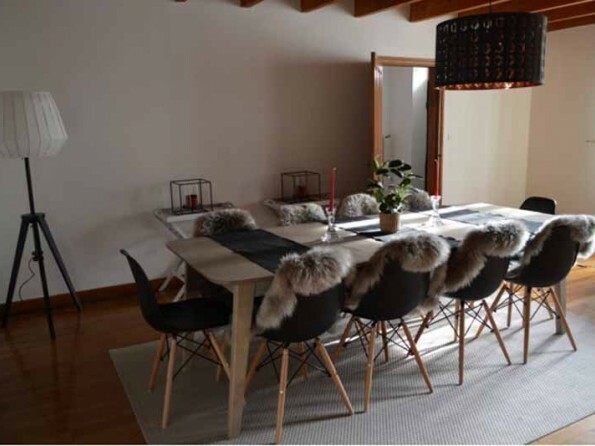 The dining room comfortably seats 10 under a beamed ceiling. There is a separate laundry room. 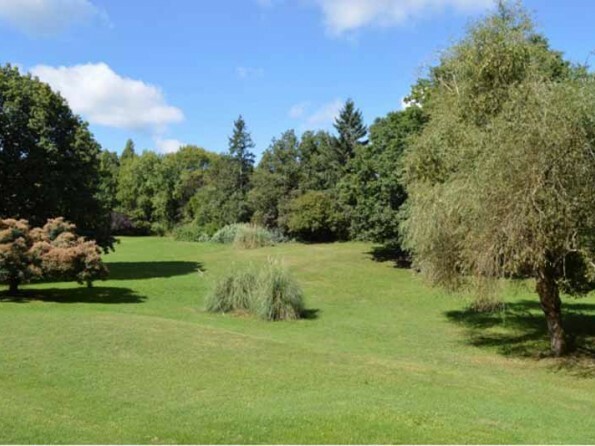 Le Grand Pezet is set in 4 acres of parkland grounds - a garden bordered by mature woodland trees including umbrella pines, giant firs, old red oaks, birch, maple and weeping willows. Immediately around the house the garden is carefully tended with climbing roses, wisteria, rhododendrons, hydrangeas and magnolia. There is a wendy house, giant trampoline, wooden swing and large space for garden games. The views from the lower terrace give you an unobstructed view down the valley towards the pool, and there are outdoor bean bags in the shade under the fir trees. There is a large outdoor dining and seating terrace with a gas BBQ. The swimming pool is 15m x 6m and is fully enclosed, and has a pool house with drinks fridge. Across the lane you also have access to six acres of private woodland forest with mown paths and a bamboo forest, and a small orchard. There is a variety of baby / child equipment for people with younger children, including a travel cot, four high chairs, stairgate, baby monitor, plastic crockery and cutlery, waterproof mattress covers and pool inflatables. All the beds have hypoallergenic pillows and duvets, and cotton bed linen. There is wifi in the main house. Two bikes are provided.